Driving 7000km, in 7 days, through 7 countries, to raise funds for terminally sick kids with no medical fund. On 2 July 2015, three intrepid adventurers will depart from the Steve Biko Academic Hospital in Capital Park, Pretoria, on an epic journey through seven southern African countries - in just seven days. The trip, known as the SEVEN7 Drive, endeavours to raise funds for children with cancer, and specifically for children with cancer who are terminal and are not covered by medical aid. 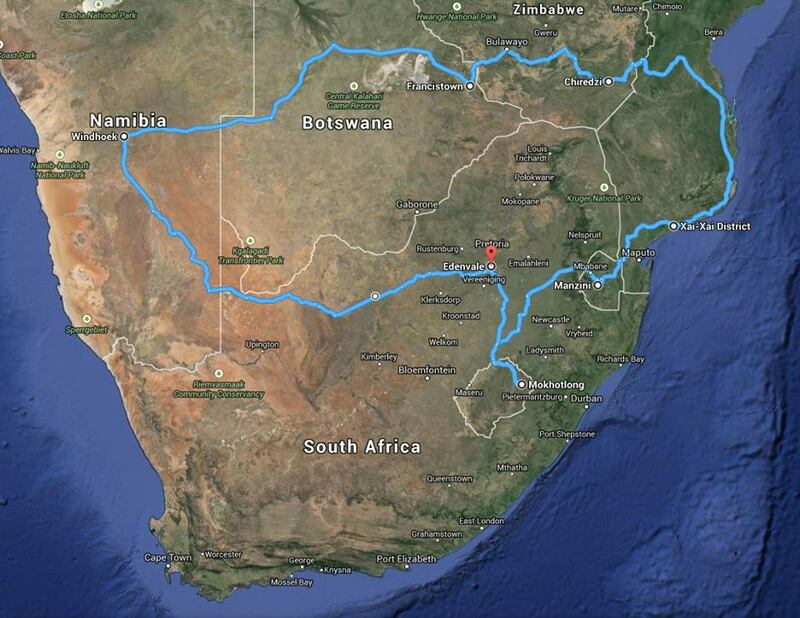 Taking on the epic challenge is a trio not entirely unfamiliar with African overland adventures. Heading up the team is well-known off-road and adventure journalist, Danie Botha, along with Leisure Wheels photojournalist and experienced traveller G.G. van Rooyen and logistics expert Jan van Deventer, who counts top international film and television companies as his clients. Playing a vital role in the back-up and fundraising team is Margaret Pretorius, a highly experienced events professional formerly of African Outdoor Group, who is currently fighting cancer herself - as determinedly as can come. "Driving 6500km in seven days is not a major challenge if you drive on new highways. We will be tackling lesser known tracks, and on each leg there will be rough gravel roads and twee-spoor tracks to cover," says Botha. "We have assembled a formidable team, but in Africa you never know what you're going to find around the next corner." The team will travel from Pretoria to Windhoek, Namibia, on day one before heading to Nata in Botswana on day two. Lake Kyle in Zimbabwe follows on day three, with Maxixe in Mozambique on day four. From Inhambane the trio will head to Manzini in Swaziland on day five and Mokhotlong in Lesotho on day six before finishing back at the Steve Biko Academic Hospital on day seven. The team will make a pit-stop in each of the aforementioned towns at a pre-selected hospital or clinic to deliver a message of love and a surprise package to a young, terminally ill patient. In total, they will cover approximately 6 500 km in the space of a week, spreading a message of love and hope throughout the journey while raising funds for Little Fighters Cancer Trust. Notably, because all operational costs for the trip is sponsored in full, all moneys raised goes directly to the charity. With the aid of satellite communications sponsored by Zippisat, the team will update supporters as often as possible on a daily basis through the dedicated SEVEN7 Drive Facebook page (www.facebook.com/seven7drive) and Twitter account (@Kia7drive), as well as through blog posts on the Little Fighters webpage (www.littlefighters.org.za). The entire trip will also be filmed for a short internet video that will be published on social media. Interested parties will also be able to view the route at the end of each day via the this webpage, courtesy of satellite service provider Zippisat. To make the donation process as easy as possible, the organisers have set up multiple platforms in which to do so. The easiest way by far is to simply SMS "SEVEN" to 40770 to donate a once-off R20 to the Little Fighters Cancer Trust. Payments can also be made via PayPal from the Little Fighters website (www.littlefighters.org.za), or through a dedicated SEVEN7 page on the Back-a-Buddy website (backabuddy.co.za). EFT and bank deposits, with SEVEN7 Drive as reference, can also be made (banking details available on the Little Fighters website). As Little Fighters Cancer Trust is a registered NPO with PBO status and a Level 4 BBEEE Contributor, corporate donors can also obtain a Section 18A Tax Certificate and BBEEE Documentation. "This is a unique opportunity to bring hope and a smile to little people that are fighting the scourge of cancer, which we know has affected countless famiies and children," says David Sieff, Marketing Director, KIA South Africa. "It's a small gesture from us, but we hope everyone following the group will donate and make a difference in their own right." Where are they? Just Copy and Paste any of the position tweets from the Twitter feeds below into this block on the GPS Mapping page. 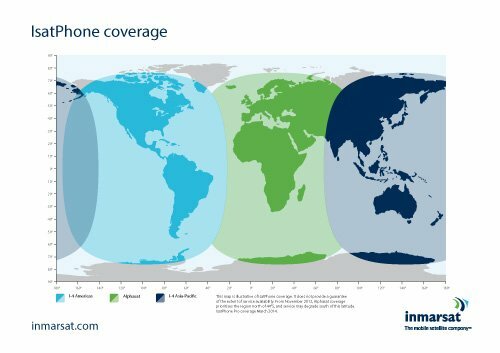 Please contact Zippisat for infomarion regarding products used by the Seven7 team e.g. IsatPhonePro/IsatPhone2 and iSavi IsatHub. The Seven7 team uses the IsatPhonePro and iSavi ISatHub the stay in touch whilst on the road. Availible from Zippisat.